Image: Magone/Getty Images. Design: Kenzie Mastroe/SheKnows. Love it or hate it, Valentine’s Day comes once a year. We like to think of the holiday as a way to show people you care — often in cute, kitschy, low-stakes ways like flowers, cards and heart-shaped desserts — as opposed to a just a celebration of romantic love. In other words, Valentine’s Day dinner should be fun, not stressful or upsetting. 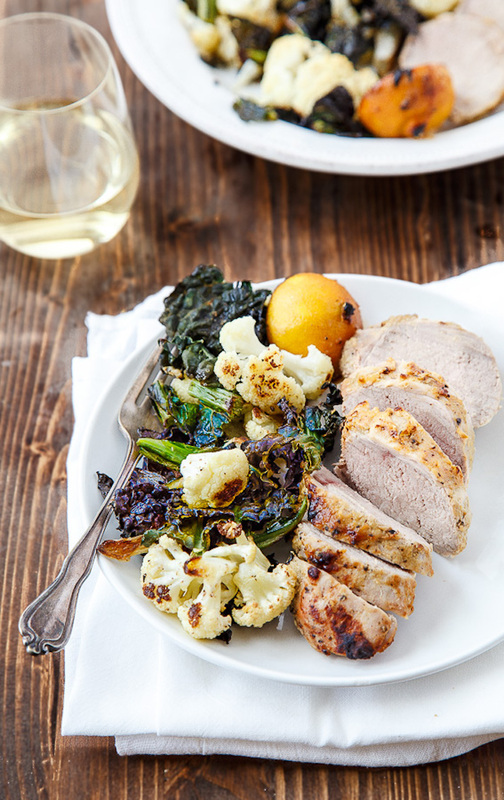 If you’re planning a date night for Valentine’s Day this year, we recommend cooking at home as opposed to eating out. Restaurants are really crowded on Feb. 14, and often, you can only order from a set menu that’s more expensive than the regular one. Instead of dealing with all of that, create your own date night with a simple but special recipe and maybe some candles and wine. If you’re not planning a date night, consider inviting a few friends over for a fancy dinner and cheesy decorations. 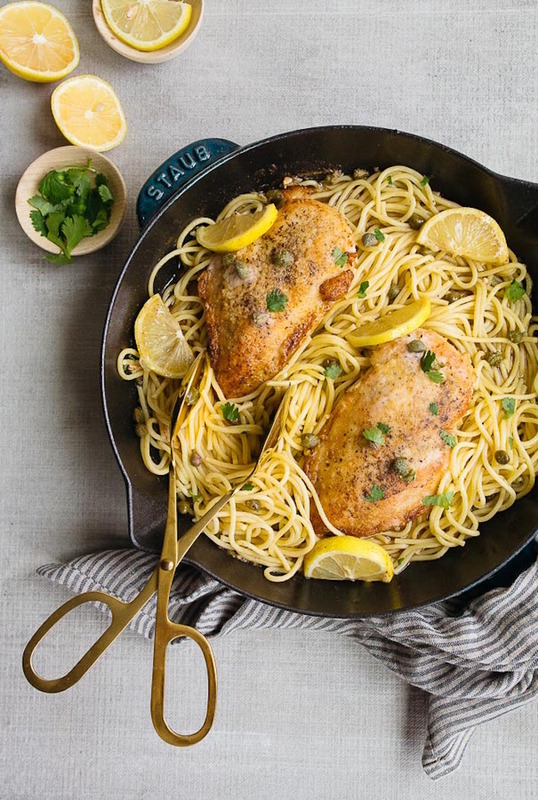 Whether your Valentine’s Day dinner plans involve two people or several, the following date-night dinner recipes are just what you need. Many of them serve two but can easily be scaled up, and some serve three or four people but are still perfect for a more intimate meal (plus, they make great leftovers!). Served over a bed of pasta, rice or couscous, this creamy, tangy cod piccata is quick and simple but far fancier than your standard weeknight meal. Want to spice things up? 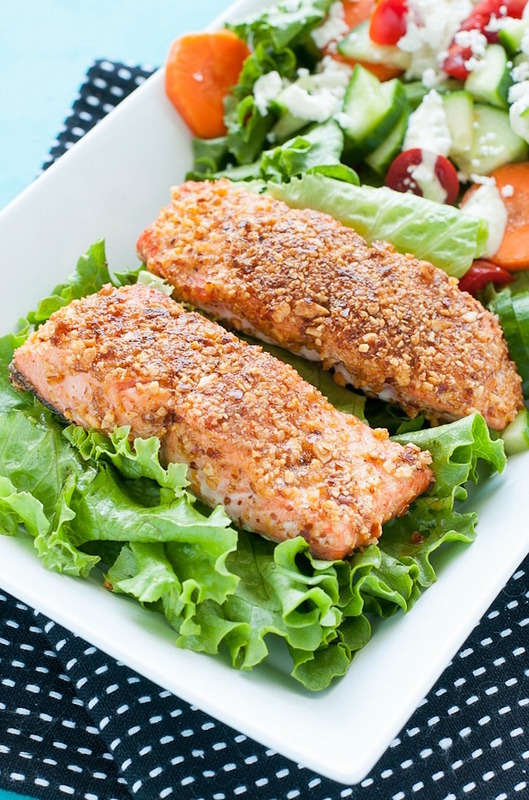 This almond-crusted salmon has just enough kick. 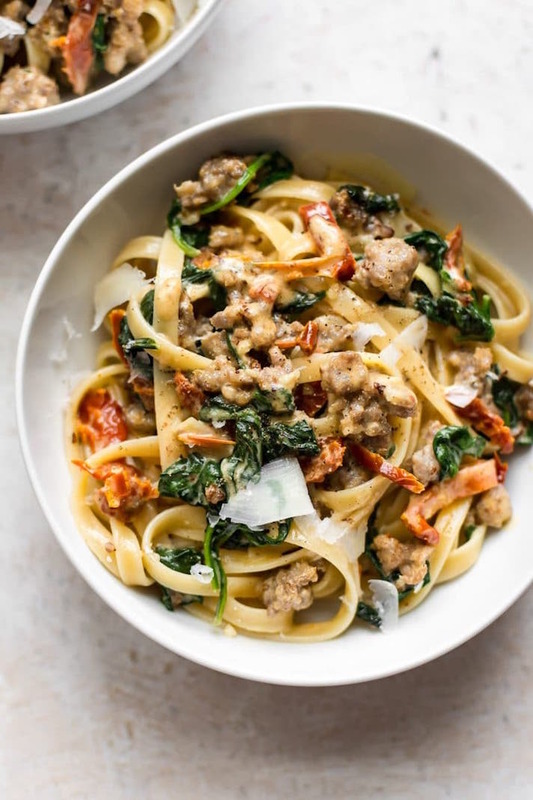 This creamy Tuscan sausage pasta is simple but has some seriously great upgrades: sausage instead of plain ground meat and sun-dried tomatoes instead of canned tomatoes. 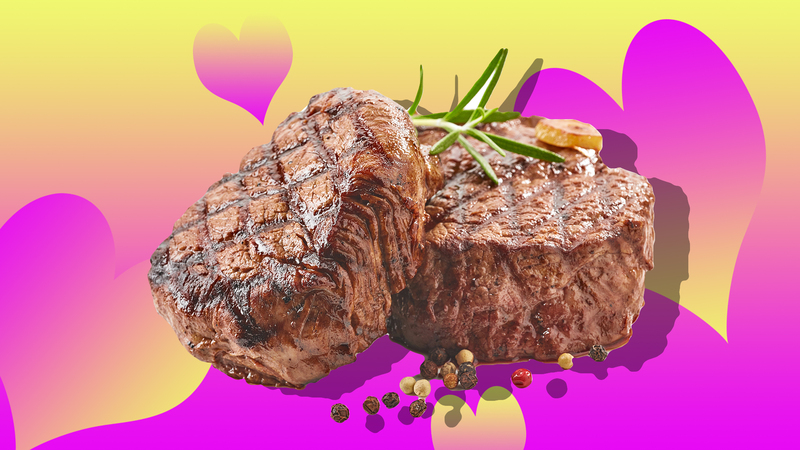 Steak is the way to any carnivore’s heart. 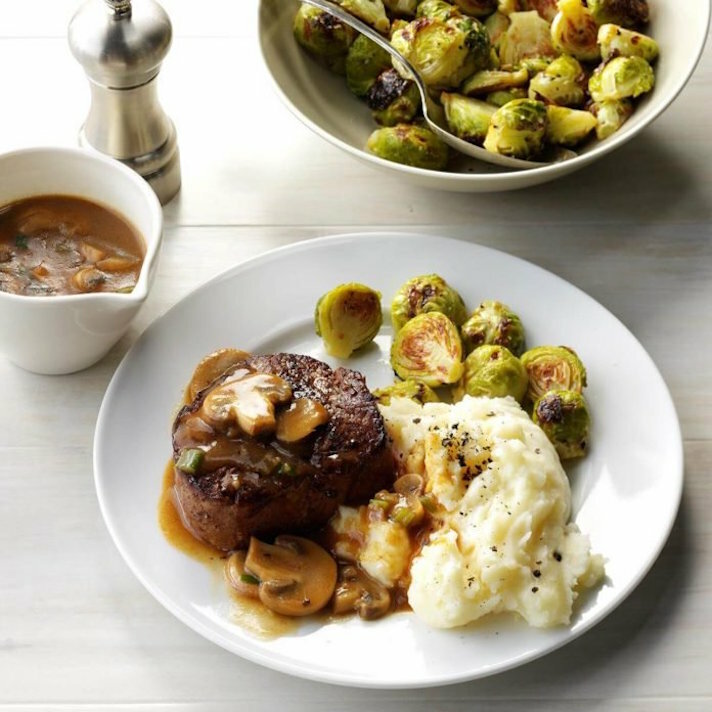 Serve these tenderloin steaks in mushroom sauce with a side of mashed or scalloped potatoes and some greens, and you’re good to go. 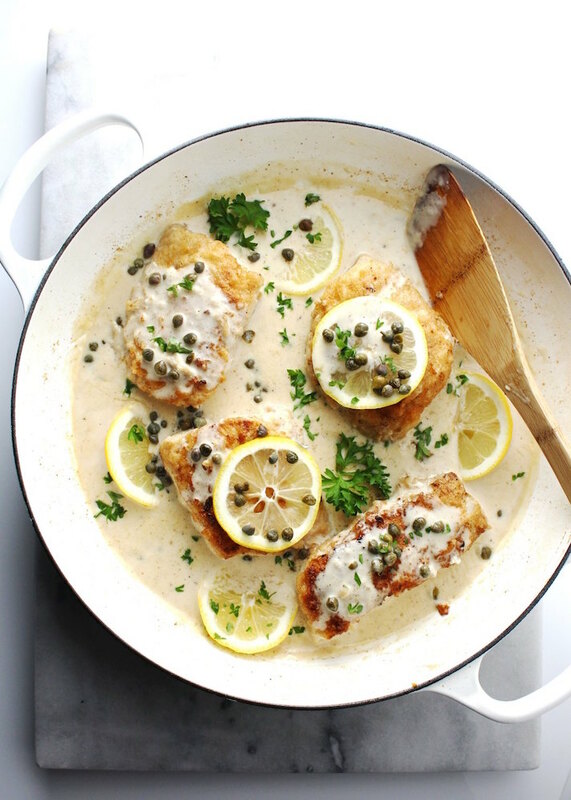 Juicy chicken breasts, tangy lemons and salty capers bring this chicken piccata together. Dressed properly, the other white meat can be fancy AF. 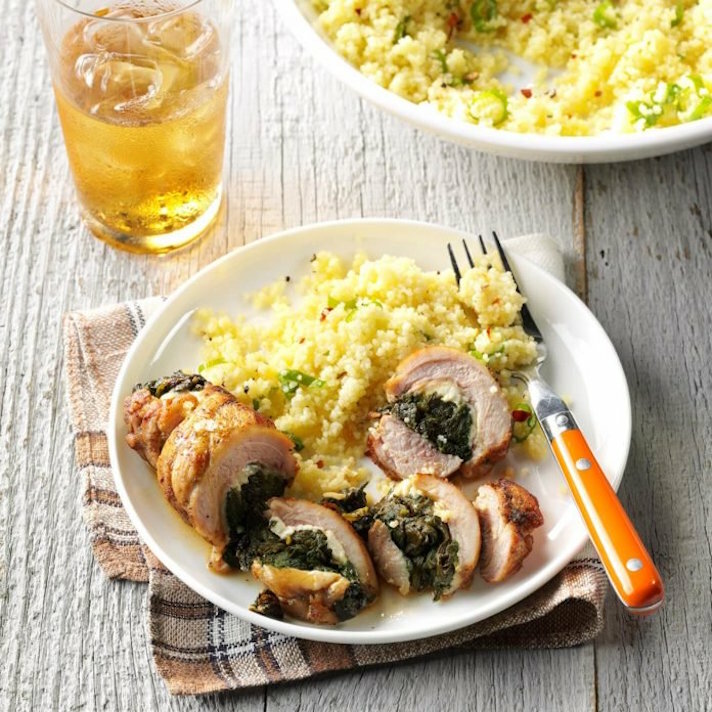 This honey-mustard pork tenderloin is the perfect date-night dinner for anyone who’s a little bored of chicken and beef. Who says comfort food can’t be romantic? 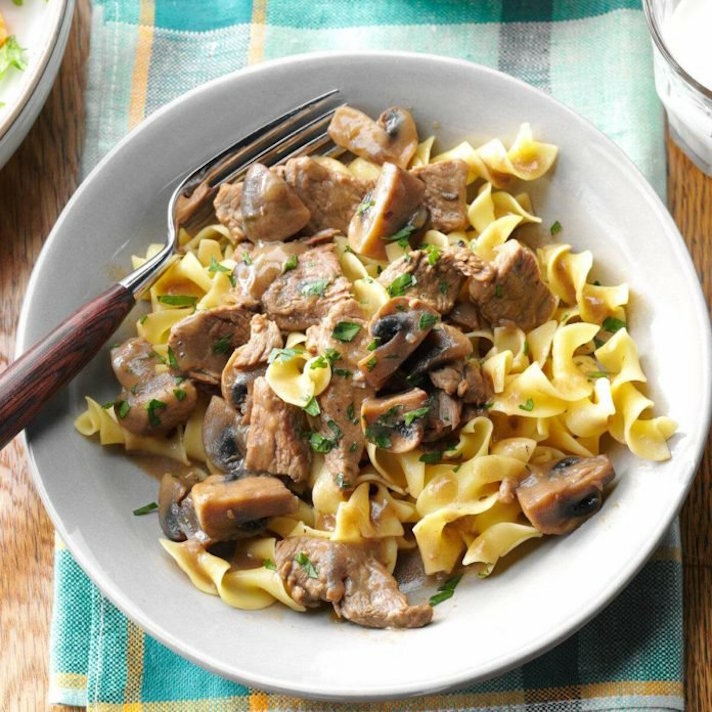 Beef burgundy is hearty and familiar but still worthy of the occasion. 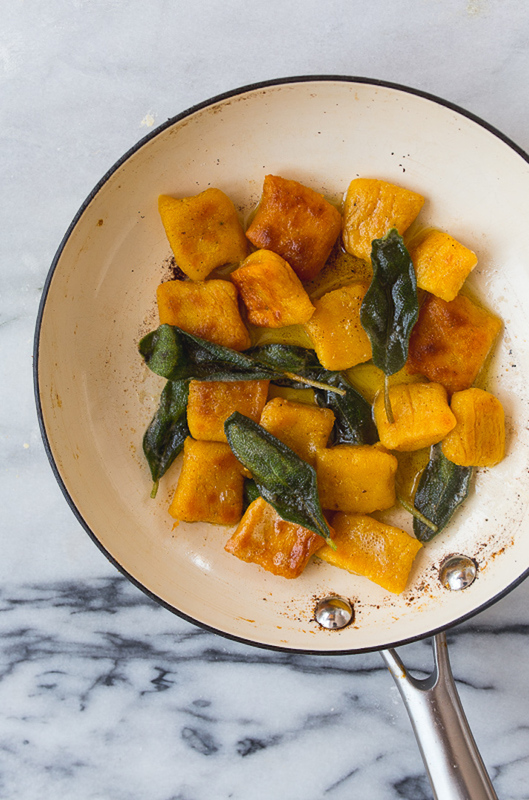 These pillowy, sweet-savory pumpkin gnocchi take a little time and care to make, but you’re totally up for it. An easy way to dress up otherwise boring chicken thighs? Fill them with veggies and cheese for easy stuffed chicken. Don’t have much time to prepare for date night? 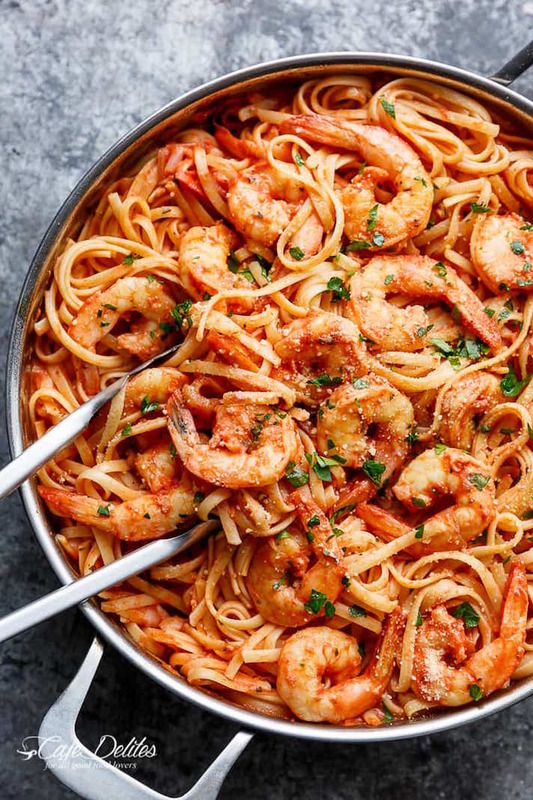 Make sure to stock up on the ingredients for this creamy tomato-garlic butter shrimp ahead of time, and you can have dinner on the table in just 15 minutes. If you really want to make a splash on date night, go with a rib eye. 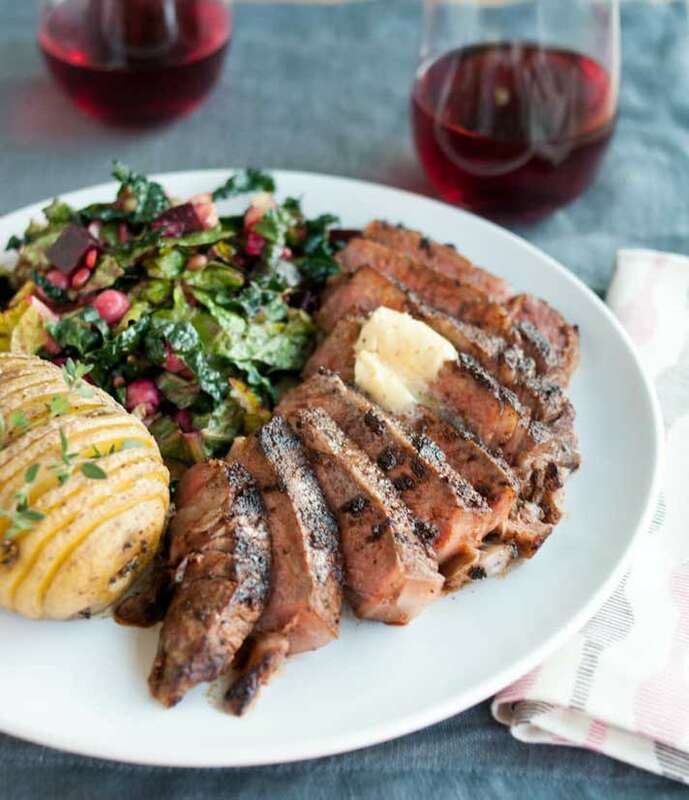 This chili-rubbed steak is served with maple-bourbon butter, and it’s pretty much guaranteed to be a home run.